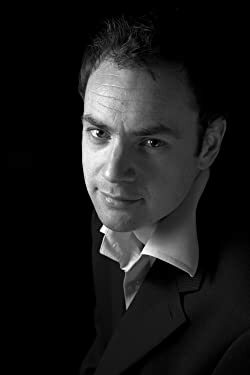 Christopher D. Abbott is the award winning author of Sir Laurence Dies, Dr Chandrix Dies, and co-author of Revolting Tales (with Todd A Curry). He has a background in human behavioural studies and psychology. Having worked in IT, communications, safety and health, and sales, he gained a good understanding of people and their behaviours. Abbott is a self confessed avid reader of crime fiction, and he took creative writing courses, which fuelled his ambition to publish a character driven crime story. He loves quirky characters such as Rodney David Wingfield's Inspector "Jack" Frost, Agatha Christie's Poirot, and Sir Arthur Conan Doyle's Sherlock Holmes. The Idea of Dr Pieter Straay, his Dutch Criminal Psychologist, came about by integrating the qualities he admires best in these characters. Sir Laurence Dies, the 1st book in The "Dies" Trilogy, debuted in 2013, and since then it won the Bronze Award in the "Reader's Favorite 2014 Book Awards" for the Mystery - Sleuth category. Dr. Chandrix Dies, the 2nd book in The "Dies" Trilogy, is available now. Abbott currently live in Connecticut USA. He loves to write and play music, which is another of his passions. He enjoys cooking, hiking, reading in the sun, and is currently at school studying for a degree in psychology. He is also working on his 3rd Dr Straay novel. Please enter your email address and click the Follow button to follow Christopher D Abbott! A collection of short stories, new and expanded, from the Songs of the Osirian (fantasy) series, as well as excerpts from the Dies (murder mystery) series, along with new unrelated stories - including a Sherlock Holmes mystery. Two short horror stories: Taken from the Songs of the Osirian: Companion and Revolting Tales. These stories revolve around the vengeful spirit child, called Matilda. Both stories were originally published independently, and for the first time are available together in one short set of tales.